Help the environment while beautifying your landscape. Butterfly weed. Photography courtesy of Missouri Botanical Garden Plant Finder: John Smelser. Looking to add some perennials with “pop” to your garden? Go Native! That’s the advice of M.A. Ward, perennial plant manager at SummerWinds Nursery in Ellisville. Not only will you have plants with gorgeous flowers, you will be helping the environment in more ways than one. First and most important, says M.A., is that natives will draw pollinators to your garden and without pollinators, fruits and vegetables will not find their way onto our tables. 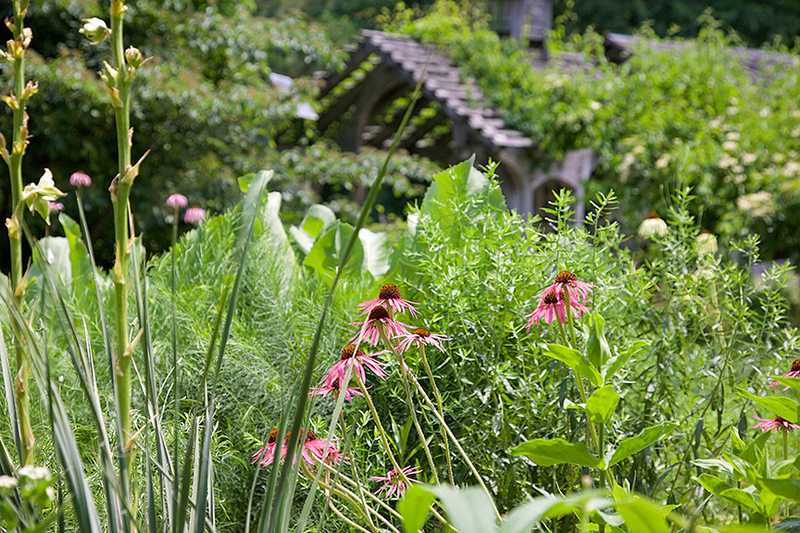 The plants are a part of the eco system that attracts local butterflies, bees and birds, particularly hummingbirds. Native plants also have adapted to local soils and the ups and downs of local weather patterns. They won’t succumb in tough conditions. In addition, their survival throughout the years means they have a built-in resistance to pests and disease. That means less pesticide use and less work for the gardener. With the concern over honeybee colony collapse, native plants attract native bees, such as mason bees, who can take over pollinating chores from the depleted ranks of the honeybees, M.A. explains. Wild columbine (Aquilegia canadensis) 3 ft. tall x 1.5 ft. wide clumps of chandelier-like orange, red and yellow blossoms from April through June. Attracts hummingbirds. Full sun to part shade. 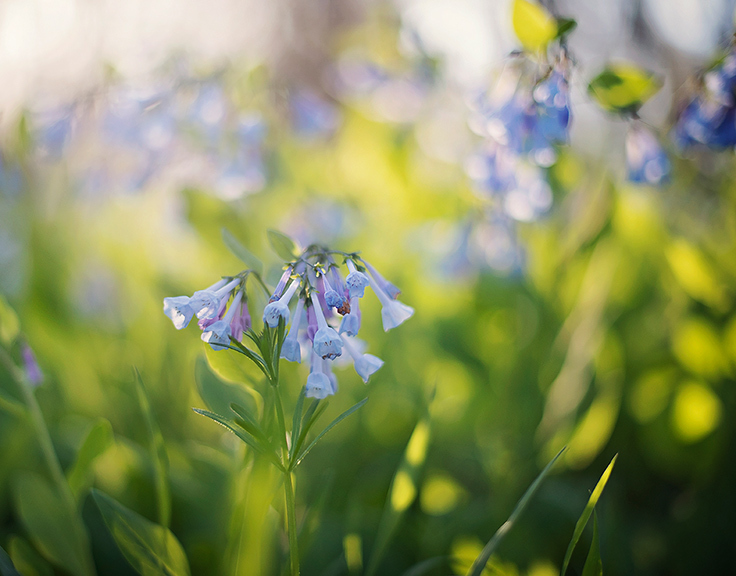 Virginia bluebells (Mertensia virginica) 2 ft. tall x 1.5 ft. wide bell-like blossoms in pink and blue in early April and May. Foliage will disappear in the heat of summer. Attracts butterflies. Part shade to full shade. Wild blue indigo (Baptisia australis) 3.5 ft. tall x 3.5 ft. wide gray-green foliage topped by spikes of sweet-pea-like blue flowers in April and May. Attracts butterflies. Full sun to part shade. 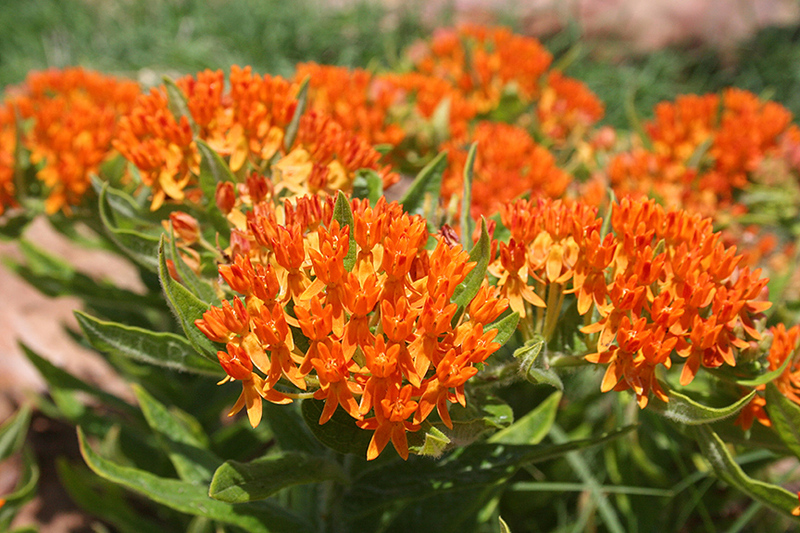 Butterfly weed (Asclepia tuberosa) 2 ft. tall x 2 ft. wide with clusters of yellow/orange blossoms atop wavy stems June through August. Attracts butterflies. Full sun. Purple coneflower (Echinacea purpurea) 4 ft. tall x 2 ft. wide with pinkish purple, daisy-like blossoms on strong stems June through August. Attracts butterflies and birds. Full sun to part shade. Purple prairie clover (Dalea purpurea) 1.5 ft. tall x 1.5 ft. wide with exotic looking, gray, cone-shaped blossoms with a layer of purple fringe at the bottom in July and August. Attracts bees, butterflies and birds. Full sun. 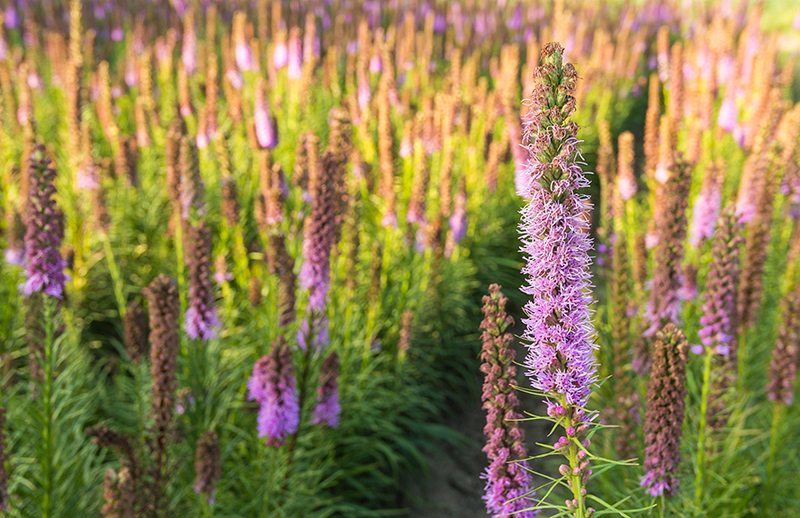 Prairie blazing star (Liatris pycnostachya) 5 ft. tall x 2 ft. wide feathery foliage topped by tall wands of deep rose/purple fringed blossoms in July and August. Attracts butterflies and birds. Full sun. Joe Pye weed (Eupatorium purpureum) 6 ft. tall x 5 ft. wide with large clumps of tall, dome-shaped, dusty pink flowers July through September. Attracts butterflies, bees and birds. Full sun to part shade. Cardinal flower (Lobelia cardinalis) 4 ft. tall x 2 ft. wide spikes of brilliant red flowers bloom in July through September. Attracts butterflies and hummingbirds. Full sun to part shade. All the perennials listed above have received the Missouri Botanical Garden’s “Tried and Trouble-Free” designation. For additional information on the benefits of landscaping with native plants, check out Grow Native www.grownative.org, an educational and marketing program of the Missouri Prairie Foundation.